I would be interested in installing solar, but where I live the information is confusing. It’s like buying a used car. Wesley, I felt the same way. Actually, it’s probably easier to buy a used car, because they have guides out there like KBB. We’ve had our solar power for a little more than 2 years now and couldn’t be happier. There are some simple calculations to determine if solar is mathematically feasible in your state. 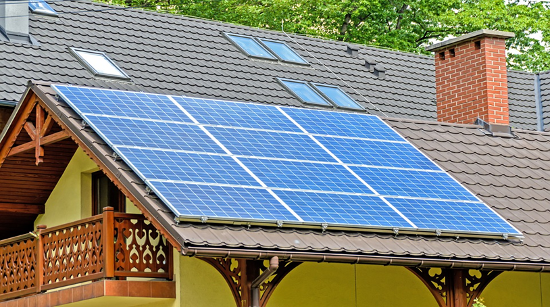 This article may help you: 18 Lessons and Thoughts about Buying Solar Panels. If you have any questions, I’m happy to help. I’m happy to continue the discussion here or privately through my contact form. One thing I never see is installing a hot water heater timer. What this does is allow you to turn on or off the hot water heater for times when you will or won’t be using it. Running a hot water heater for 24 hours a day is crazy considering you are not home or are asleep over 70% of the time during the week. I have one that I got from Lowe’s for thirty dollars, and installed it myself. I have it set to run for only 5 hours in the day, and the tank (which has a tank blanket on it as well as the great insulation already in it) keeps it warm during the “off” times. I have done an analysis on this and it saves me almost $5 a month based on historical usage (and it is just me and my son, more if you have a larger family). There’s been a lot of discussion locally about the long term payback of tankless water heaters. I’m thinking of going tankless with my next water heater. I haven’t done much research on that yet. For me it’s a space consideration. I want to claim as much basement space as I can so that we can turn it into useful living space. If we can combine the furnace and water heater (I hear there are such combo units), it would be small, I would think. Fortunately both items are getting near their end of life, so it wouldn’t be crazy to replace both. My fear is in “bundling them.” I don’t want one breaking mean that they both need to be replaced. Big-D, I’ve never heard of that. I bet that saves on the wear and tear of your water heater too, right? How does replacing plastic-framed windows with wood save you money? If you already have double pane windows in good condition, it seems unlikely to me that replacing them with wood framed windows would ever pay off, financially or environmentally. I strongly disagree with the advice regarding wood windows. We installed good quality Vinyl windows a few years ago, and the maintenance is minimal. They work great – Noise and temperature insulation, all that jazz. My in-laws have wood windows. They are terrible. They have to be painted every two years, and maybe they are “easy to repair”, but mine just don’t need repairs in the first place. Would never trade.